BATON ROUGE – Gov. 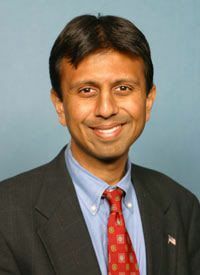 Bobby Jindal has announced a compromise concerning new legislation that would more narrowly focus how lawsuits over land polluted in the process of oil extraction are handled. Legacy lawsuit reform has been at issue in the state legislature for more than a decade and has pitted oil companies against landowners who purchase land that was formerly used for oil production and later file what are known as “legacy lawsuits” over alleged contamination. Proponents of legacy lawsuit reform have made claims that the litigation dissuades oil producers from opening new wells in the state resulting in less economic capital and fewer jobs. In fact, past legacy lawsuit trials have yielded awards in the tens of millions of dollars to landowners. Gov. Jindal said the new bill should finally bring debate to rest on the issue. The bill go towards fixing legislation that was passed in 2012 after a long battle in the state legislature, which was later overturned by the Louisiana State Supreme Court. That legislation provided oil producers with the ability to admit to responsibility for cleaning up pollution from past oil drilling activities without admitting to larger damages. Also, a mechanism was created in which the Department of Natural Resources would develop a cleanup plan for polluted lands that would be open to public scrutiny via public hearing. The cleanup plan would also have to pass analysis by the Department of Environmental Quality and the Department of Agriculture. Sen. Robert Adley, R–Benton, who is sponsoring the new bill, said the legislation will act much in the manner that previous laws should have acted before they were overturned. The legislation will allow a responsible party to admit liability for the cleanup and in concert with the Department of Natural Resources develop a plan to remediate the land. It will also clarify the types of damages that may be recovered and provide attorney’s fee to parties who receive dismissals, such as in cases where lawsuits that are brought without hard evidence of contamination. Don Briggs, president of the Louisiana Oil and Gas Association and long-time advocate for legacy lawsuit reform, said he is hopeful that the bill will receive support in the House and Senate. Roy O. Martin, president of RoyOMartin Companies and one of the state’s largest landowners, also provided his support for the bill.